The highly successful Live at the Garden series, now in its 19th year, is held on the grounds of the beautiful Memphis Botanic Garden and has a capacity of 7,400. The series Title Sponsor is Duncan-Williams Investment Bankers, Inc. Presenting Sponsors are FedEx, TruGreen, Infiniti of Memphis, Regions Bank, Radians, ProShow, Mahaffey Tent and PDR. “We are so excited to finally announce this year’s line-up. We feel that this year’s lineup is a great mix for true music lovers. It has always been our intent to deliver a variety of genres to our patrons, some years it just works out better than others because of the availability of touring artists and routings. But the really great thing about Live at the Garden is that it is truly a unique Memphis summer experience, not just a concert. ” says Sherry May, Co-Director. Patrons are encouraged to bring lawn chairs, blankets, and coolers to the concerts. 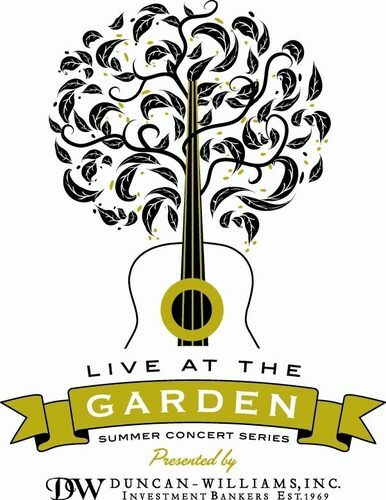 Season Lawn Passes for Live at the Garden start at $225, plus fees, for the 5 show series and will go on sale Thursday, April 11th at 10am through www.ticketmaster.com or by purchasing in person at the Live at the Garden Box Office, located inside the Memphis Botanic Garden. All individual show tickets go on sale Friday, April 26th at 10am. General admission TruGreen lawn ticket prices will vary per artist and start at $46 plus fees. Recap Video from the Party! Take a behind the scenes look at the lineup! 2016 marked the release of “The Prelude Implicit,” KANSAS’s fifteenth studio album. The wide-ranging progressive rock album is released on InsideOut Music, and marks the band’s first studio album release in 16 years. The Songwriters Hall of Fame inducted Toby Keith two years ago and the Academy of Country Music gave him the Poet’s Award this year – exceedingly high songwriting honors amidst a career chock full of them. And with good reason. The list of writer-artists in any genre who have achieved or exceeded the collective airplay Keith has amassed is quite short. Artistic and commercial achievements aren’t the reasons he writes, however. Neither are awards. No, songwriting isn’t something Toby Keith does. Songwriting is who he is. Sure, there are songwriting appointments and a few close collaborators who join him on the road when an album’s coming together. But there’s also an unending torrent of lyrics and song titles being stored on his cell phone. Ideas and melodies are surfacing in everyday conversation, rising up from an old memory or jumping out during a round of golf. In fact, the only time Toby Keith turns off his songwriting is when he’s asleep or incapacitated – and even then a song might result. (That story comes later.) And so it is that throughout his career he’s written songs for reasons that have nothing to do with advancing his career. He calls them bus songs. their place in his canon. All the while, new bus songs were being written. written.” And not, clearly, with any aspirations of radio airplay. single one is a country music fan, or a Toby fan,” he says. “But it is a bunch of guys and I’m thinking to myself, ‘Well, offer them something.’ So I ask if they’ve ever been somebody’s wingman, but you get set up with a bad date? His wasn’t so bad but yours weighed 300 pounds? to the show and Willie brought me up to do a couple songs. As I was walking off he said don’t go anywhere, he wanted to holler at me on the bus. when you’re dealing with Willie’s stuff, you’ve got probably the best available to anybody. You know what you’re dealing with. So I didn’t smoke very much, but boy, I got shut in. I got off that bus and had everything wrong with me you can get. I just told my folks, ‘Take me straight to my room.’ So on Saturday night in Vegas I laid down on my bed, alone in my room and missed everything. Watch a pitcher out on the mound, on any team, from a nine-year-old kid in the Babe Ruth league all the way up to a million dollar ace in the Majors. There’s a look in his eyes—an intensity—that goes right to his core. And when you see that look in Brett Young’s baby blues, it isn’t too hard to understand what took this California boy from a ball field to the recording studio. His gritty vocals and impassioned lyrics are built on the same firm foundation that had him as a pre-draft selection of the Tampa Bay Devil Rays straight out of high school—hard work, sheer talent and that thing music industry execs and baseball talent scouts alike simply call heart. Those same qualities have gotten Brett’s songs placed on television shows like MTV’s The Real World and Kardashian pop culture favorite Kourtney and Kim Take New York, and his feet planted firmly on some of the most well-known stages in the world—The Roxy, The Troubador, The Viper Room, sharing those stages with some of pop music’s best and brightest, from Colbie Caillat to Gavin DeGraw to Katy Perry. When it comes to Brett Young, it isn’t so far from a pitcher’s mound to a major stage, and it doesn’t really matter what kind of Big Show you’re talking about. Because in the end, when you have that thing called heart, it shows. You may see it in his eyes, but you’ll hear it in his voice. Brett has since played venues ranging from House of Blues to Troubadour, and shared the stage with such artists as Mandy Moore, Tyrone Wells, Jason Reeves, Gavin Degraw, Tyler Hilton, Katy Perry, Hoku and many more. Brett recently released his second record, Make Believe and is currently in the studio finishing up his latest album. The Concert Series is one of the largest fundraisers for the Memphis Botanic Garden. Memphis Botanic Garden encompasses over 96 acres of sweeping vistas, lakes & woodlands, display gardens, the renowned Japanese Garden of Tranquility, the Sensory Garden & My Big Backyard family garden. This community gem serves over 40,000 area children annually and sees over 150,000 visitors, offering education programs from children and adults, art programs and exhibits, and special events.